DAVIE, Fla. (AP) _ Ryan Tannehill says he’s a championship-caliber quarterback and dreams of winning a title with the Miami Dolphins. Flanked by general manager Dennis Hickey and coach Joe Philbin, Tannehill talked Tuesday about his new $77.7 million, four-year extension that will keep him under contract through 2020. Tannehill says he understands NFL quarterbacks are ultimately judged by wins, and the two areas he most wants to improve are winning more games in the fourth quarter and finishing the season strong. 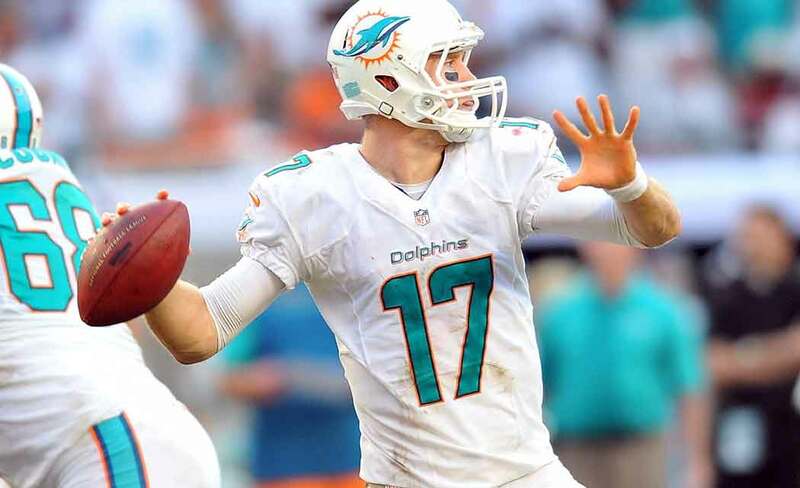 Tannehill had career-best numbers in 2014, throwing for 4,045 yards and 27 touchdowns with a passer rating of 92.8. Philbin says he has seen Tannehill improve each of his first three seasons and believes that trend will continue. Tannehill is the first quarterback from the 2012 draft class, that also included Andrew Luck, Robert Griffin III and Russell Wilson, to receive an extension.